Designed to illuminate your underwater adventures. 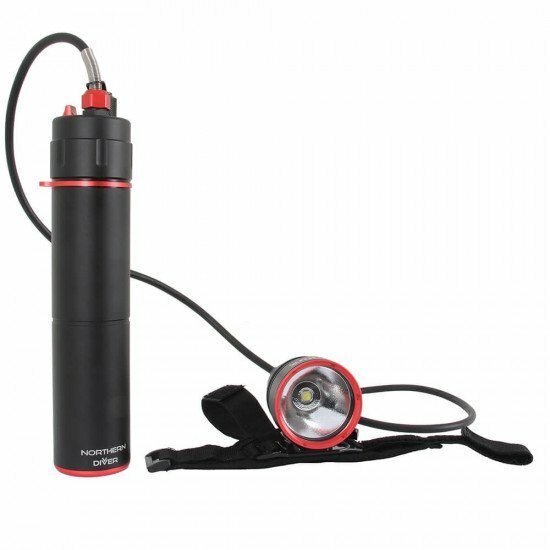 Whether you're scuba diving or cave diving the Varilux U-XHP70 rechargeable canister light will offer reliability and it's easy to operate. 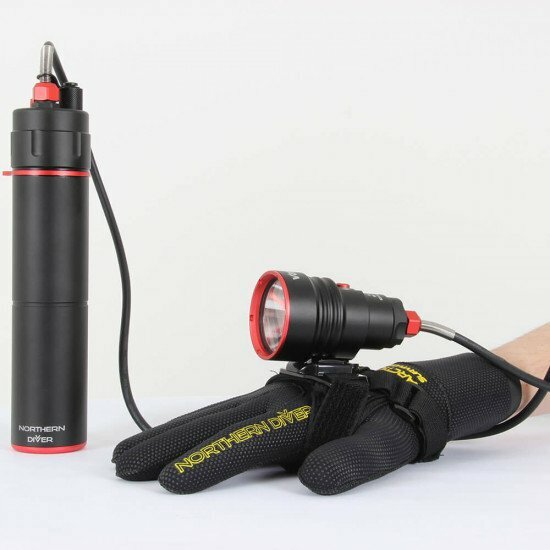 Offering a maximum output of 4000 lumens of white light and providing 280 lumens on its lowest setting the torch can be easily finely tuned between these two extremes. 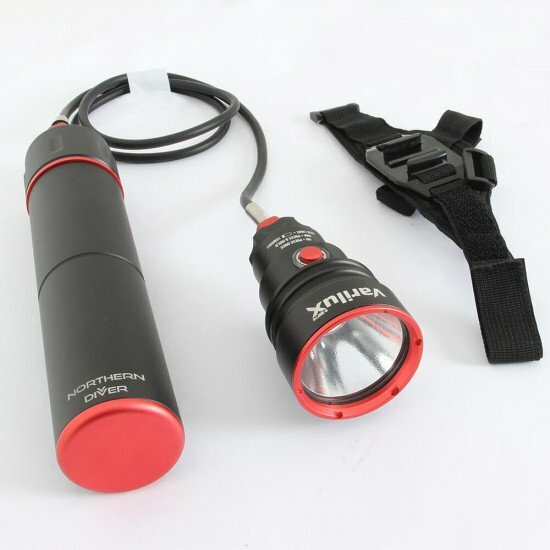 This light is produced with a CREE XHP70 quad core LED with a burn time of approximately 4 hours on its highest setting and 35 hours on its lowest. The lamp head features a magnetic push-button induction switch. Pressing once turns the light on at full power. Pressing and holding at this point dims the light. When the desired output is reached, releasing the switch will maintain this output, and pressing once more switches the light off. There's an illuminated ring around the switch which works as a battery light, turning red to indicate when the battery power is very low (approximately five minutes of power on full remaining). Charging the unit is a breeze. It's so simple, all you need to do is remove the charging point cap to plug the charger in. After approximately 3.5-4 hours of charging, your U-XHP70 will be good to go again. 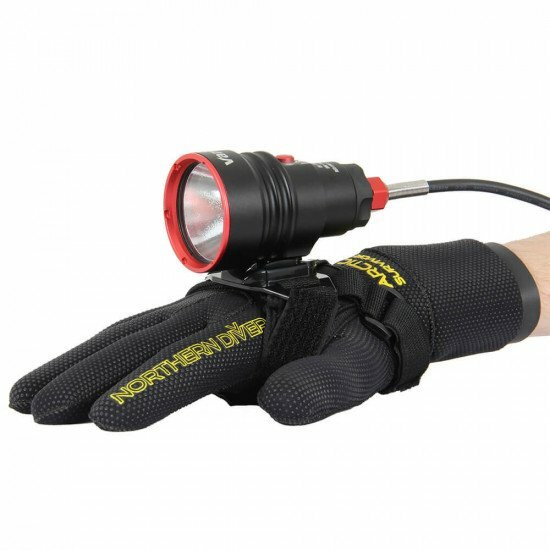 The lamp head can be fixed to the top of the hand via the supplied wrist mount. 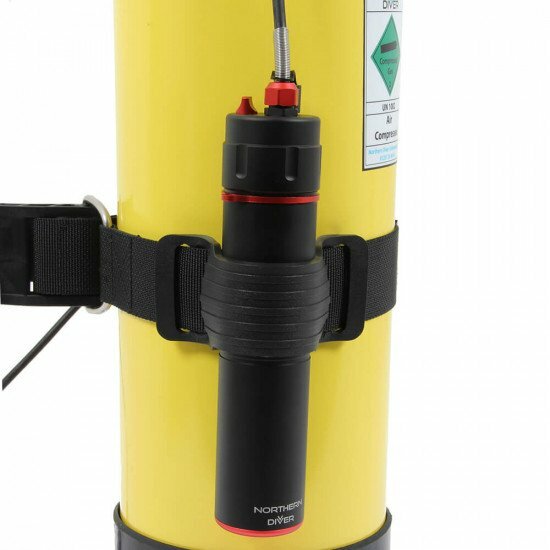 It's powered by an external battery canister that clips neatly onto your cylinder using hard wearing cam band which is included. The lamp and battery pack are attached to each other by a coated wire. 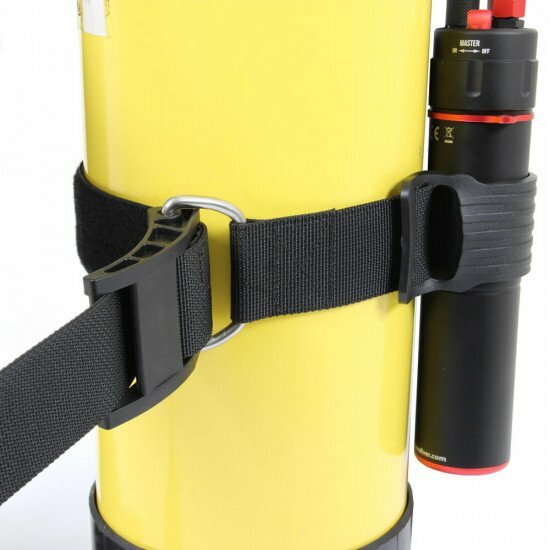 A stainless steel carabiner is also included with the torch, we've found that some divers prefer to use this as a battery canister mounting option on a suitable piece of their diving kit. Alternatively, the supplied cam band's TPU rubber pad can be fitted to the user's own BCD cam band (provided the BCD cam band is the same size) offering up yet another attachment option. Burn time (highest setting): 4h approx. Burn time (lowest setting – 280lm): 35h approx.